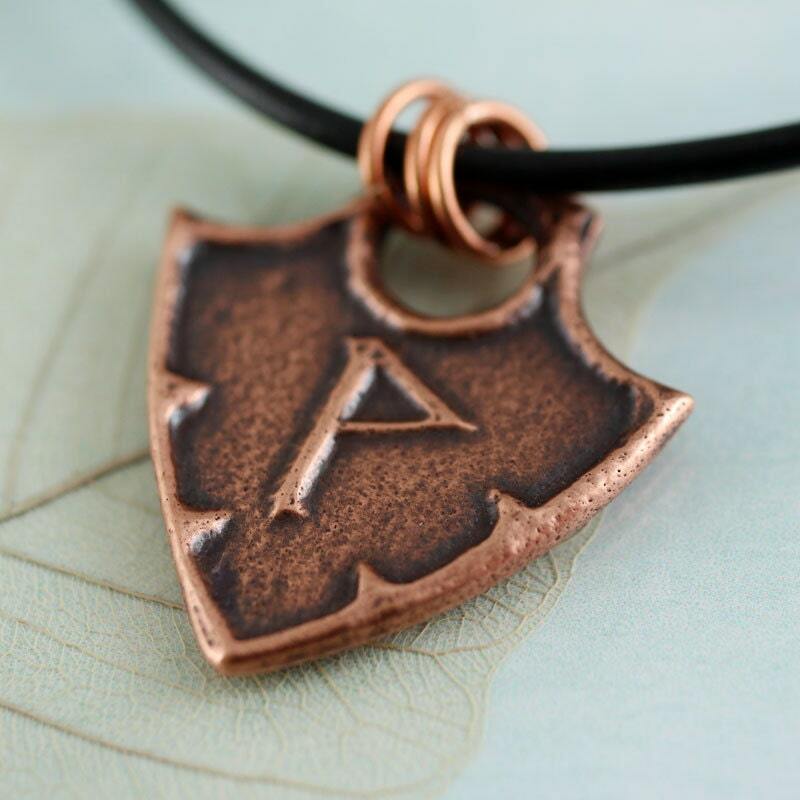 Arrow head pendant in copper with your chosen rune. 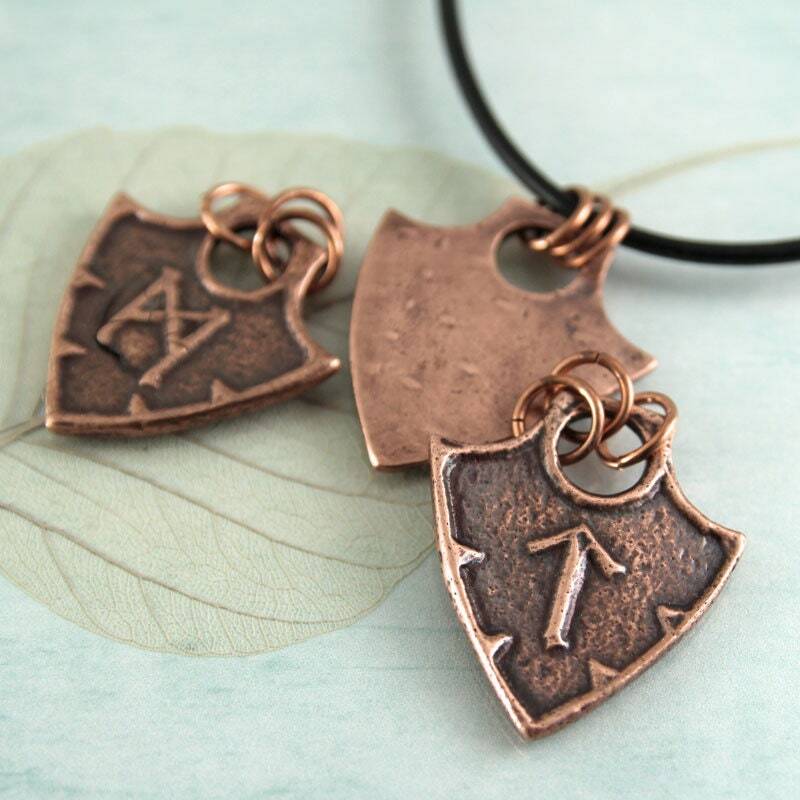 Choose the initial of you or your loved one or go for a power rune. 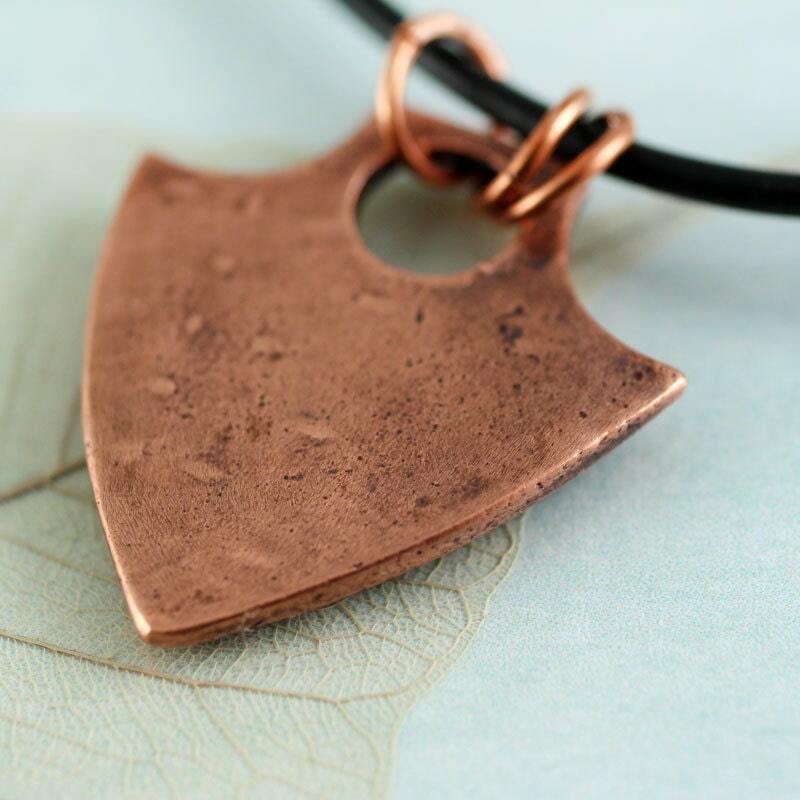 The metal has been rustically formed to resembled an old artefact dug up from the age of Vikings. I have polished it then given the metal a black patina to really give it character. 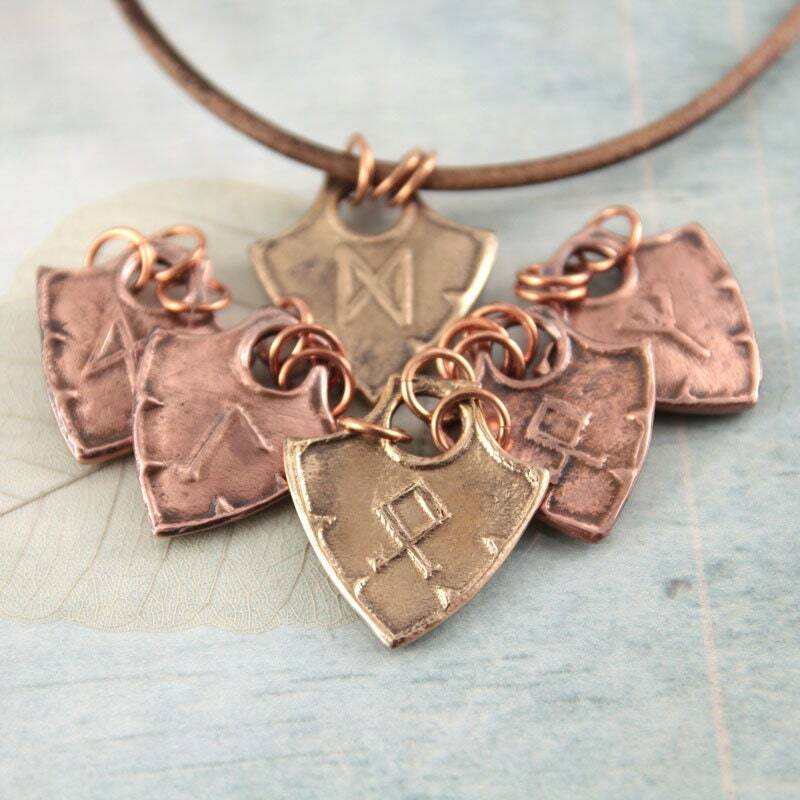 The pendant hangs from 3 generous sized copper jump rings that thread easily onto most chains and cords. Put it on your own favourite chain or see my section of chains and leather to find your own preference. 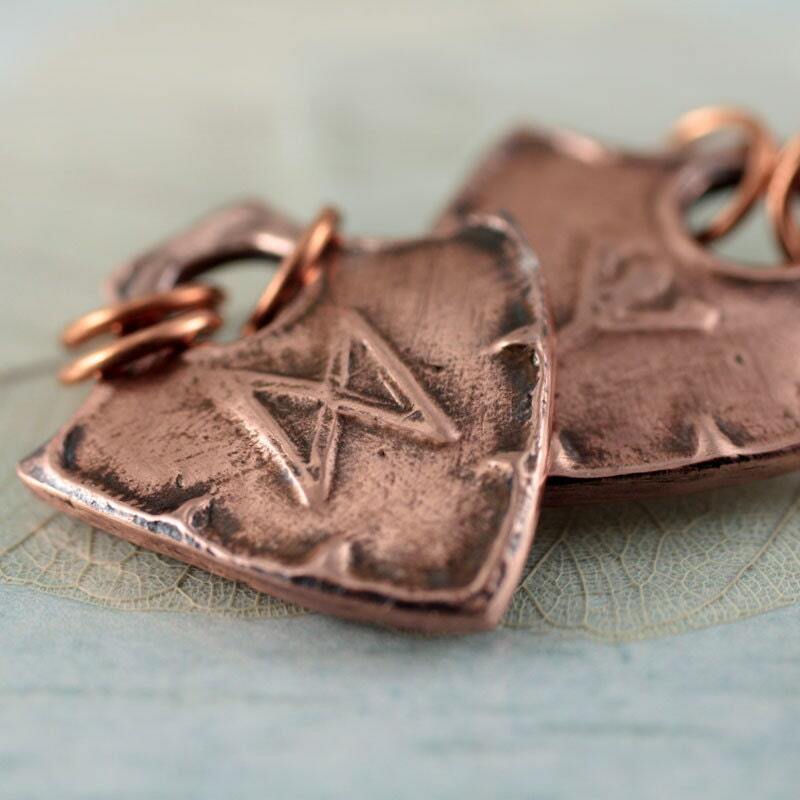 All the runes come with historical and mythical meanings. Have a look at the chart photo to choose. As always this is just one interpretation of the historical script. You might like to do your own research. 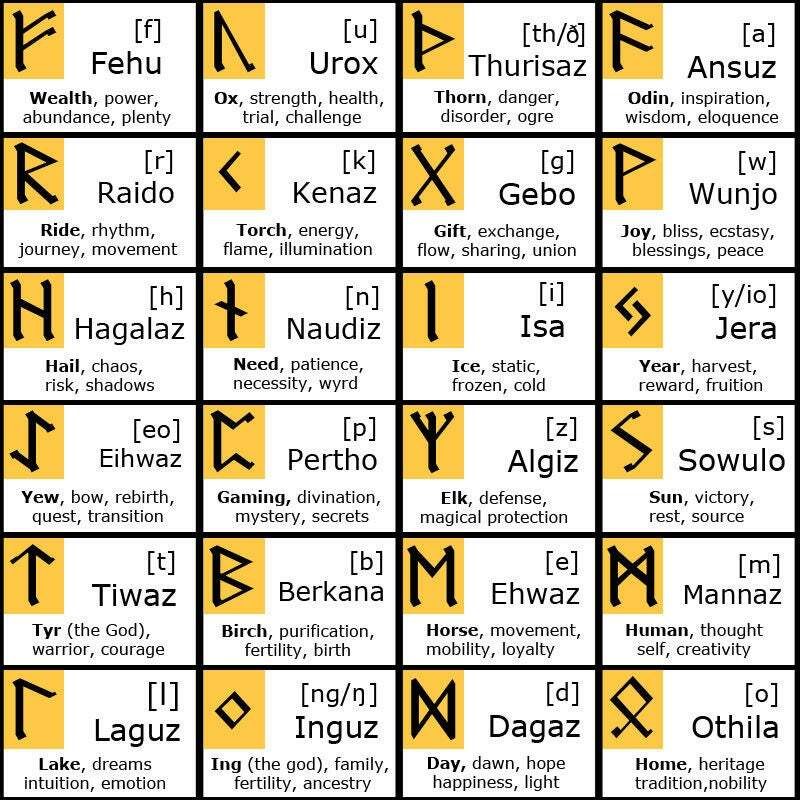 If you want the pendant to have a different rune than the Elder futhark ones here, just contact me and we can work that out too. 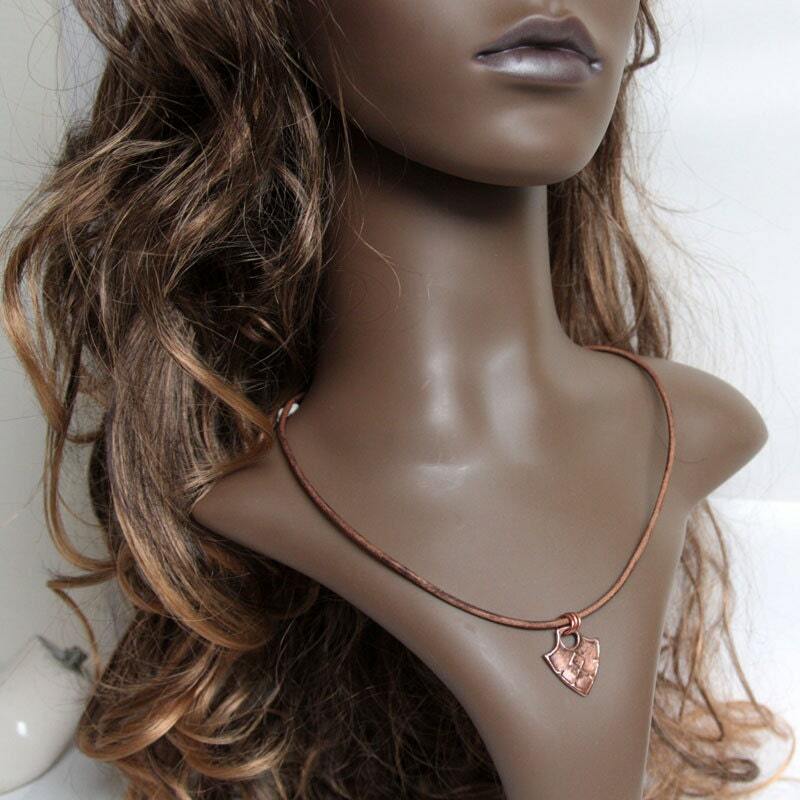 Also available in silver and Bronze. Thanks for a lovely pendant! 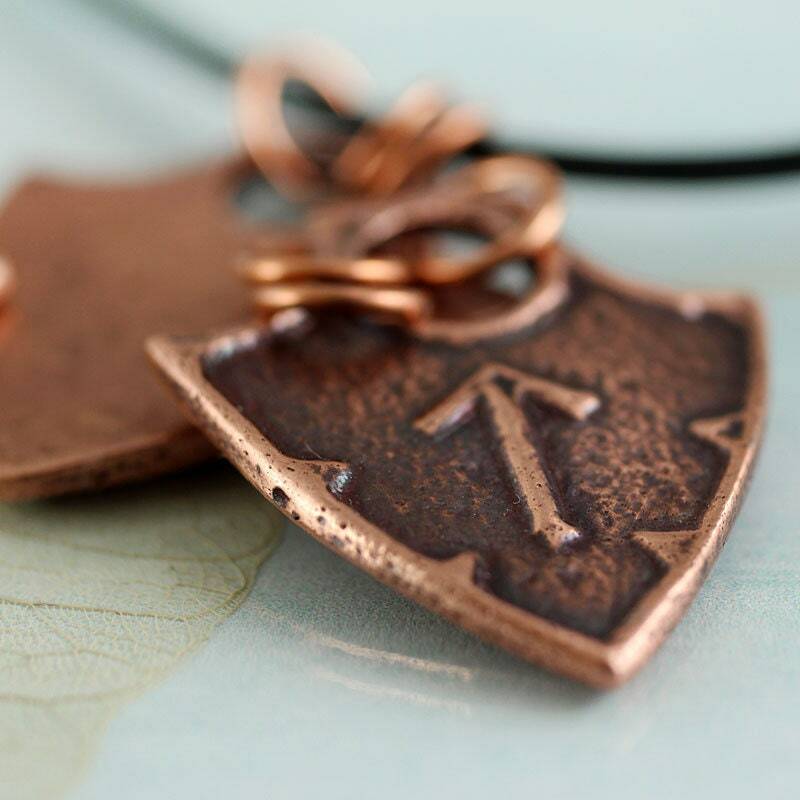 Very well done of thick copper. Will buy again from this shop.